Explore our extensive selection of personal care products that will keep you healthy and well-groomed. This includes portable medical devices and health monitors such as oximeters that give you an instant display of heart rate and blood oxygen levels. 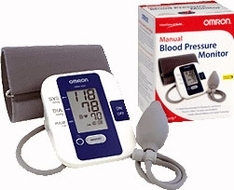 We also have blood pressure monitors, ECH and EKG monitors and body fat analyzers that can help with weight management. For running and other aerobic activity, our pedometers track steps taken and calories burned. We offer many kinds of scales, from the standard rotary dial to nutritional scales that store calories, fiber content and other information for different foods. Our personal grooming products include brand name Waterpik shower massage heads and dental care devices such as water jets and flossers. We offer hair dryers and crimpers from Revlon and Vidal Sassoon, and hair cutters and trimmers for home or travel use. Save yourself and your family a trip to the salon. For your pets, we have grooming kits that give you professional results without the inconvenience and expense of visits to the groomer. For applying makeup expertly, we have a professional cosmetic makeup brush set that produces quality results from the comfort of your home. We also carry heated insoles, sunburn relief gel and other products to keep you healthy and comfortable in every season.